Sometimes you just want to eat with your hands. 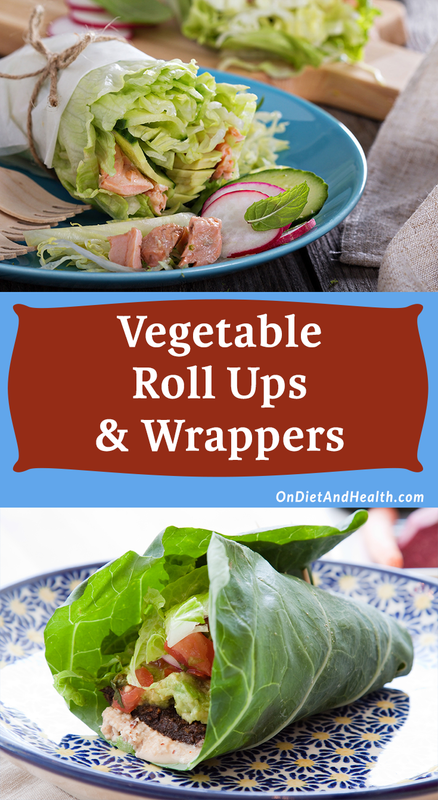 If you’re not a baker, and don’t have the budget for almond flour or Paleo breads, these vegetable roll ups and wrappers will do the job just fine. The goal is to transport food to your mouth using no forks and maybe no plate. A well-made wrap or a nice flat vegetable base you can pile food on can be packed in a lunch box and eaten with a napkin. So, two bases: ones that provide a plank or platform (like zucchini) and those that roll (like lettuce). 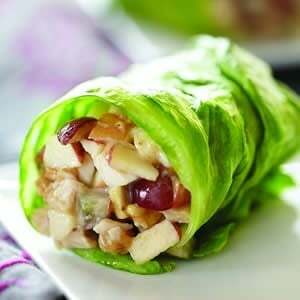 Lettuce leaves make great wrappers. My favorite is Butter Lettuce (known as Boston or Bibb) as it is pliable yet strong. It rolls well and can hold a good amount of food even though the leaves are small. Pick leaves with no tears or holes. Romaine is good too but it sometimes folds more than it rolls and it may not be as pretty or as strong as Bibb. You run the risk of it breaking while you’re showing off your creative gluten free lunch to your office buddy, risking an embarrassing desk cleanup. TIP: Romaine will roll better if you remove some of the stem end and use the top 2/3 rd’s of the leaf. Any other red or green lettuces are good and they’re pretty to mix and match in a lunch box or party platter. 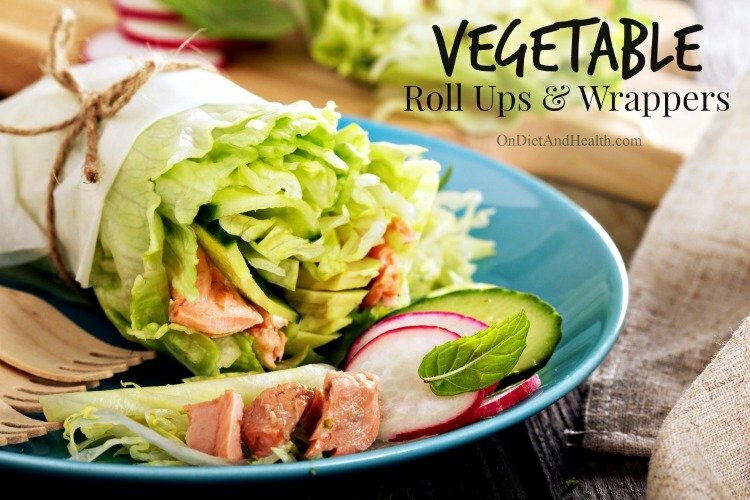 Wraps make fun party food if you’re confident that your lettuce is strong and is holding together well with toothpicks, butter, dipping sauce or mayo. Raw or slightly steamed cabbage, collard and kale leaves wrap well but can be a bit on the chewy side. Experiment with the size and type of leaf to see what feels right and what chews well. Grape leaves are a natural for wrapping. Stuff and fold into packets, or roll up like lettuce. Make them from fresh grapevines if you’re lucky enough to find some. (They don’t have to come from wine grapes). Otherwise, buy them in jars, pickled (brined). Mediterranean stores carry them in jars and often fresh. Or look in the International Foods section of any good supermarket. Do you have a meat slicer? If not, buy gluten free Deli meat and have them cut it a bit thicker than normal. Put your meat on the outside and your lettuce and other veggies inside. These look great when alternated on a plate with lettuce wraps. One is outside-in and one is inside-out! Kids will like this in their lunchbox. Thin omelets or egg crepes might wrap well if strong enough. Try them with some bacon crumbles inside, along with the other stuffings you choose. There are dozens of Paleo wrap recipes using cauliflower, plantain and more. But most are not strong enough or large enough to wrap or secure well. They are good for picking food up and using the “tortilla” or “crepe” as a carrier for one bite at a time though. Moroccan style! Cheese slices can work as rollers too. They tend to fold up so experiment with different cheeses and thicknesses. Nori seaweed sheets wrap well. There’s many recipes for Nori wraps and they have a wonderful salty flavor. Nori seals well with a simple moistened edge. Here’s a beautiful one for inspiration. If you have a dehydrator, vegetable leathers work OK too. I haven’t tried store-bought leathers so I don’t know about their texture…. Here’s the dehydrator I have. 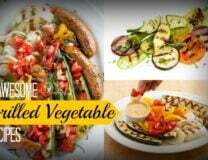 Build an edible food tower with wide thin strips of zucchini or cucumber as a base. Put some fat on top and add the meats and veggies. Stuff zucchini or cucumber boats or celery stalks. Steamed eggplant circles are a nice surprise and go well with tomato sauce, meat and cheese. Basically,whatever is in the fridge is fair game for a wrap. 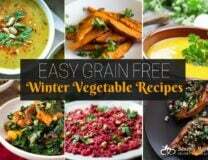 Deli meats, ground meats, grated vegetables, avocado, soaked seeds, sprouts, bacon bits, olives, raw or cooked vegetables. 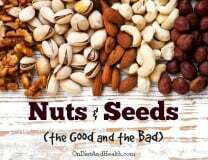 Nut butters, leftover casserole dishes, salads, slaw, pesto, salsa….. The list goes on. If your wrap is well-made, it may hold together on its own, especially if some fat is involved. A burrito wrap (see below) should hold together for example. I usually add a pair of toothpicks as insurance. Sometimes, a nice layer of butter, mayonnaise, dipping sauce, or even guacamole will seal the edges of the roll. Or, if it’s Nori, water will seal it (and you get your daily Iodine dose too). Open sides vs. closed sides. What’s the difference? If you make it like a burrito, you fold the ends in before you roll it. Better for things that fall out or drip! For flat foods, make them like tostadas and serve open-face. These are fun foods and they look good. Alternate green on the outside with greens on the inside for flair. Let sprouts hang out the sides for a nice “fuzzy” touch. Ornament with fancy toothpicks. Try a dry wrap with dipping sauce on the side in its own container. Most deli meats, veggies, fats and other ingredients need little refrigeration (except for mayo which contains eggs). Pack the food cold, add a small refreeze bar, and bring to room temperature an hour before eating. Hand a colleague a lettuce burrito with roast beef and bacon inside, and tell them it’s Paleo weight loss food!